Biblical commentator; the country and year of his birth are unknown. As he quotes Levi b. Gershon it may be assumed that he lived not earlier than the fifteenth century. 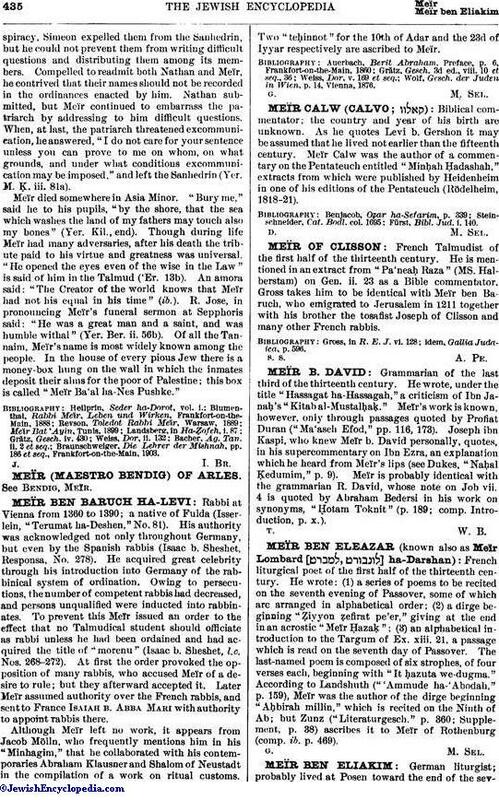 Meïr Calw was the author of a commentary on the Pentateuch entitled "Minḥah Ḥadashah," extracts from which were published by Heidenheim in one of his editions of the Pentateuch (Rödelheim, 1818-21). Fürst, Bibl. Jud. i. 140.